I get emails from a variety of places. Some offer me free tickets to concerts so far away I write back and accept and ask if they provide the plane tickets. Yeah, I’m goofy sometimes! Others are for rap or heavy metal artists. I don’t usually reply to those, but sometimes I write back asking what caused them to ask me if I’m interested. I never receive responses. I’ve been invited to movie previews and a variety of other events. Most are in New York and they’ve never sent me plane tickets so I’ve never gone. Others are asking me to listen to a CD or read a book. I very rarely agree to do this any longer: I simply don’t have the time and I sure don’t need more stuff around the house! I tried for a time and I realized what WORK reviewing can be. Not my cup ‘o tea, really. 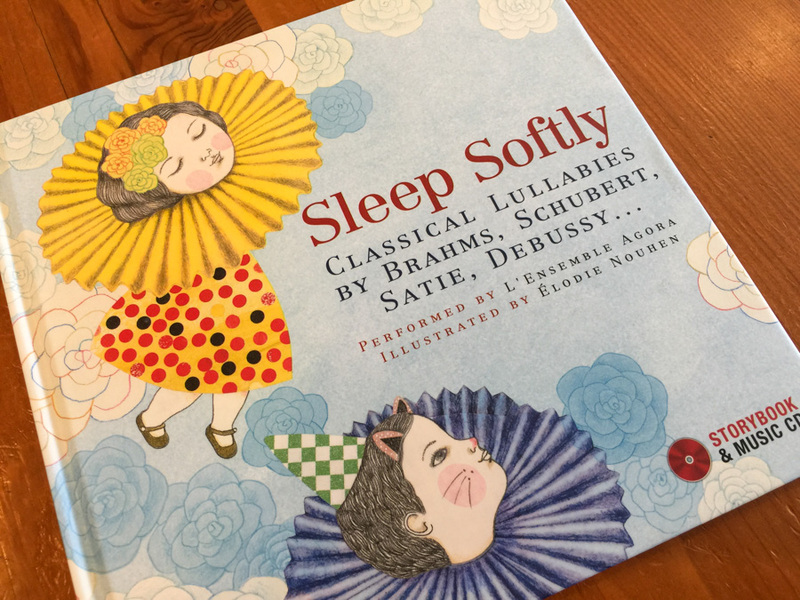 Recently, though, I was asked to take a look and listen to the book Sleep Softly; Classical Lullabies by Brahms, Schuber, Satie, Debussy … and I was intrigued enough to accept the book and CD. I’m currently listening to the music for the second time. This book will be available on May 1, 2015. They have a variety of series: Lullabies and Nursery Rhymes from Around the World (five books), Dream Songs Night Songs from Around the World (three books), Sing Along Songs (six books), Lullabies (three books), and Stories and Songs (seven books), along with the Classical Music (three books) that includes the one in my possession. If I had young children I am fairly sure I’d be buying more of these books. This one is charming. To see more go to The Secret Mountain. Might Be An Interesting Book! High school students who plan to be music majors in college aren’t always prepared for what awaits them, says Rhode Island College music professor Robert Franzblau. Giving those students, and their influencers, advice on making the right decision was the idea behind Franzblau’s recently published book, “So You Want to be a Music Major: A Guide for High School Students, Their Parents, Guidance Counselors, and Music Teachers,” published by Meredith Music Publications in July. The book, which will also be available in an electronic format, addresses a wide range of concerns college music instructors have about their incoming students including technical skills, having the right attitude toward their work, and having a misconception about what a collegiate music program entails. I’m curious enough to have the author send me his self-published book for review. Just because. $49 for a book on Opera San José?! Please note that the content of this book primarily consists of articles available from Wikipedia or other free sources online. Opera San José is the professional opera company in San Jose, California, United States, founded in 1984 by Irene Dalis. In 1988, it formed a resident company of principal artists, for which it has purchased fourteen apartment units to provide rent-free accommodation. Until 2004, the company performed in the Montgomery Theater in San Jose’s Civic Auditorium complex. One of the keys to the company’s success over the years has been its fiscal prudence. The company opened its 2004-2005 season in the 1,119 seat California Theatre, a former vaudeville and film theatre designed by Weeks and Day. On opening day in 1927, this 1,848 seat movie palace was said to be the finest theater in California. With its magnificent Jazz Age décor, it was part of a wave of ornate theaters built to define downtowns all over the country. For nearly 50 years the theatre showed films, until it’s closure in 1973. REALLY! This is absolutely ridiculous! They put a book together by grabbing info off the internet and then they charge $49 for it? I love reading “High Quality Content by WIKIPEDIA articles!” on the front. Okay … if you really want to buy the book, you go right ahead. But don’t say I didn’t warn ya! In Davis-Gardner’s version, the Pinkertons return to America with 4-year-old “Benji,” who’s explained away as an orphan adopted from the streets of Nagasaki. With his Japanese features atop blonde hair, Benji is fated never quite to fit in either of his two worlds. Fatefully, they decide to settle on the Illinois prairie, where Pinkerton has inherited the family farm after his father’s sudden death. For some reason I can’t picture Pinkerton as a farmer! What? Not “Oboe and Melancholy”? Mexican tenor Ignacio Jarquin recreates Caruso as his trunk is stolen, as he avoids the bayonets of soldiers evacuating the streets and takes refuge in a city of tents in Golden Gate Park. I read the above here*. My long-awaited second book, Boozehound, is now in stores. No, wait, mine is Listen to This. 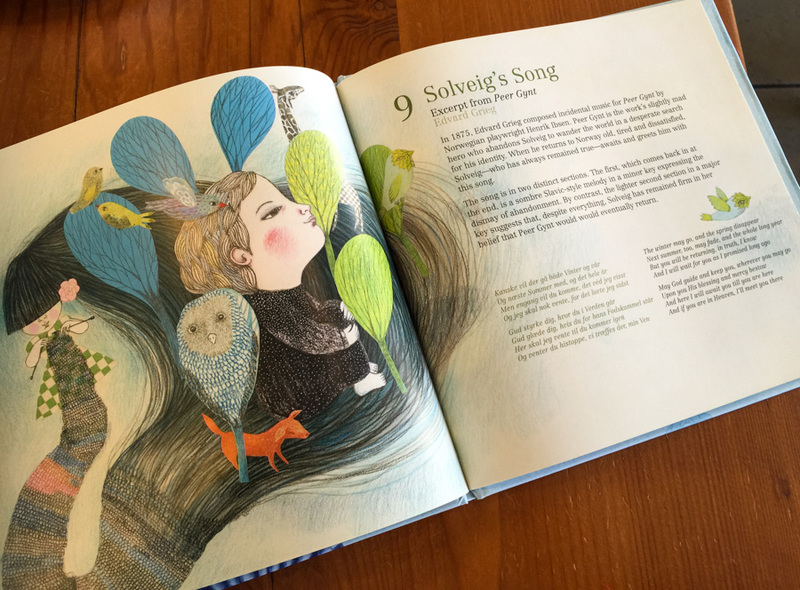 Today is the official release date, and I will celebrate, as is my long-standing custom, by placing a signed copy of the book in a little handmade boat in the shape of a swan and setting it loose in the waters of the Hudson River. Actually, I have never done any such thing, and am unlikely to do so now, but I like the image. Hmmm. Maybe his next book will be Boozehound? I read Alex Ross’s first book and enjoyed it tremendously. Guess we’ll have to put this one on the list to pick up when money starts rolling in again! Most readers know by now that I don’t like to actually do serious reviews; as much as I can be quite critical, I hesitate being open about it. But recently I’ve been given* recordings of a few things and some books, and I think that the companies who provided these are expecting me to review them. So I guess I’ll have to hop to it! I suppose these are the perks of running a blog. Truth is, though, that reviewing takes a lot of time, and it’s also a responsibility one shouldn’t take lightly. I can’t just say, “Don’t like it,” and feel good about things … or can I? Or perhaps, since I sign nothing saying I’m obligated and must review, I should only comment on the things I like. I do like to try and be kind and all that jazz. It does make me admire the real reviewers out there. The amount of time it takes to truly listen and read — assuming they really do that! — is tremendous. I understand why one that I’ve read on occasion said, “I will not read things if you send them to me. Period.” He’s a big enough name that I’m sure it’s completely his choice about what he chooses to bash review. I don’t think I’m their target audience for that one! As to the Lotfi Mansouri book … heh … while we were at Marriage of Figaro on Tuesday night I wondered (but didn’t check) jokingly if we’d find his autobiography there. I would guess not. At the same time, everyone knows it’s out, and most know he dissed Runnicles, Willie Brown, Pamela Rosenberg, and so many more. So maybe it’s just better to go ahead and put it out there. Dunno. Maybe I’ll look when we attend the next opera. It won’t be this Friday, though; that’s the Opera in the Ballpark event. Oh … but maybe they’ll bring their store to the ballpark too? I’ll probably not get there, though; we’ll be searching for the garlic fries! (I’m guessing it’s more about the experience than the music …? Oh This One Is A Doozy! Many many thanks to Jillian … so visit her site. She gets all the credit! Oh dear oh dear oh dear oh dear oh dear ….